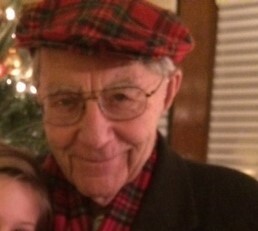 I am about to travel to Milwaukee to visit my Dad, to share cake and coffee in honor of his 95th birthday tomorrow. Over the past few months, he has often said he can’t believe he has lived this long, having never really known anyone that has celebrated these many years. My mother passed almost 4 years ago. A loss we are all still feeling, especially Dad. He will always say that his health is good, his mind clear, but he is alone and therefore not really well. After having her at his side for sixty-two years, they had learned to orbit in their own solar system as they aged. And then he was alone, gratefully with a large family to support him as well as the wonderful retirement community and caring shared by their staff too. Dad has found a new life, but the emptiness of going it alone is something that he deals with daily. I send you love Dad, and appreciation too on your very special birthday. I know that Mom will be with you along with all of the rest of your clan. Enjoy your celebration! This entry was posted in Belief Systems, Creativity, Death and Dying, Empathy, Health, Hospice Care, meditation, Reiki, Relationships, Spirituality on July 1, 2016 by Marggie Hatala.